Cairns was the first stop on our Australia itinerary after landing in Sydney and before visiting Melbourne. Unfortunately things got to a rocky start after our flight to Sydney was cancelled due to mechanical errors. As there was only one flight a day this caused us to miss our original flight from Sydney to Cairns and an entire day in Cairns. Instead of spending 3 days in Cairns we only spent 2 days in Cairns. We planned on using our first day to get over jet lag but plans don’t always pan out. After landing an epic flight deal to Sydney for $580 we needed to get from Sydney to Cairns. 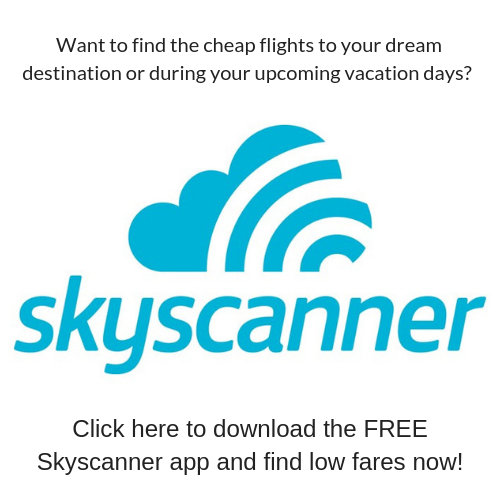 The Sydney to Cairns flights we found were very affordable and we flew Virgin Australia. It was very easy to get to our flight from Sydney to Cairns even though we flew United to Sydney. After landing and going through customs and collecting our luggage there was a domestic transfer ticket counter right near the baggage claim. We checked into our flight and the Virgin Atlantic agents took our baggage leaving us hands free. We then took a bus right outside of this area over to the domestic terminal. We booked Virgin Atlantic because their domestic flights from Sydney to Cairns included 1 checked bag. The flight from Sydney to Cairns was 3.5hrs (with a 1hr time difference). Virgin Atlantic serves a small meal on the flight. They also offer free WiFi as long as you have their app so be sure to download it ahead of time. We had no issues and it was a very pleasant experience. 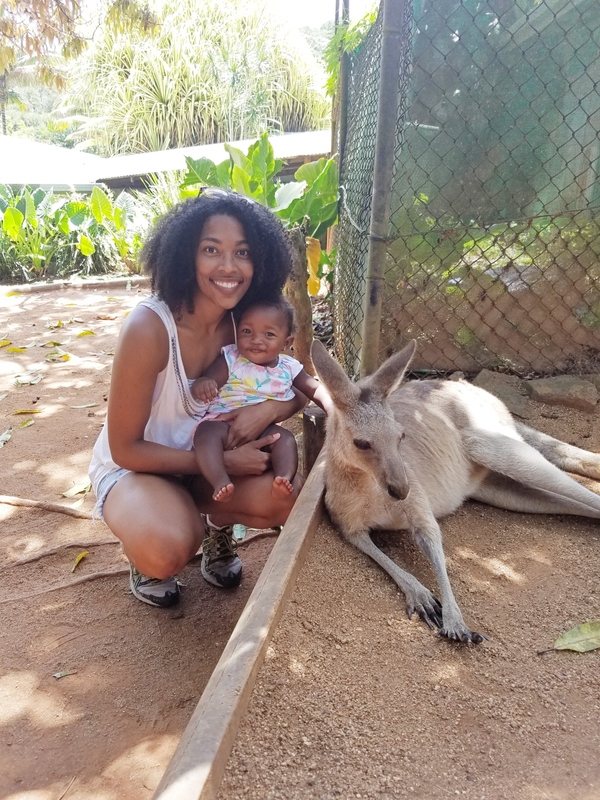 We visited in mid October and I truly believe it’s the best time to visit Cairns. The weather was absolutely gorgeous. Australia has opposite seasons as the US and it was their fall in October. However, Cairns is much like South Florida in that it is warm pretty much year round. It was in the 80s during our visit but it lacked the humidity of summer. When visiting Cairns you should pack shorts, tank tops, sundresses, and other similar clothing. Some nights it got a little cool but cool as in low 70s. 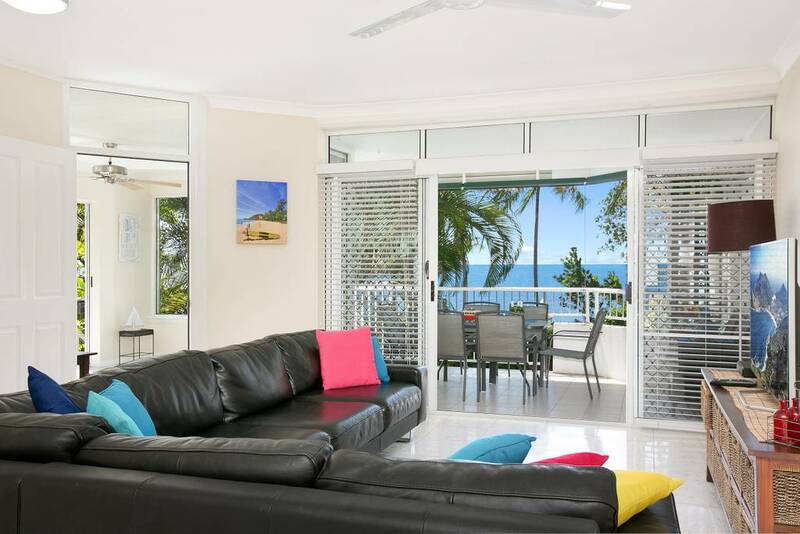 When looking for the best place to stay in Cairns we were deciding between Trinity Beach and Cairns CBD. We chose to stay in Trinity Beach so that we would have the beach to hang out on our 1st day if we were too tired to do anything else. Unfortunately that never happened! Trinity Beach is about a 30min drive from the airport and Cairns CBD. It is smaller area with not as many restaurants or shops. If you are looking for peace and quiet I would recommend staying here. If you do, eat at the Blue Moon Grill, it was delicious. Next time I visit Cairns I will stay in Cairns CBD. There were a lot more restaurants, shopping, bars and nightlife but with the distance and not having a car it made it tough to partake. You will also pay more for the transportation for tours staying in Trinity Beach. If you plan to spend a lot of time at the beach choose Trinity Beach but if not Cairns CBD will save you time and money. While the distance was an issue the Airbnb we stayed in was great. It was right on the beach with beach views from the balcony. The grocery store, restaurants, bus stop and kids playground were all in walking distance. The area is quiet and relaxing. Our host Matthew provided laundry detergent, dishwasher soap, shampoo, conditioner, towels, wash cloths, and beach towels, everything we needed for an enjoyable stay. The place hosts 6 adults comfortably with 3 bedrooms and two bathrooms. He even coordinated a crib rental for us for my infant. New to Airbnb? 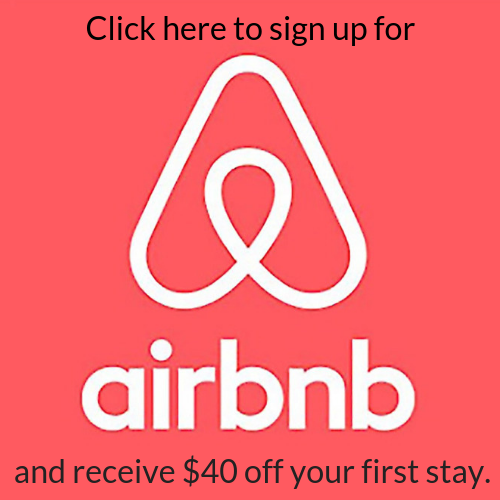 Sign up here to receive $40 off your first rental! 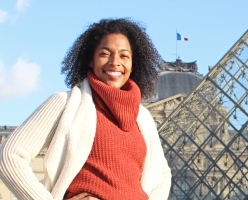 Here are 8 tips to guarantee a great Airbnb experience. Thankfully we booked our Great Barrier Reef diving for what was supposed to be our second day in Cairns. I would suggest doing the same in case you also face delays getting from Sydney to Cairns as we did. This is because tours offering scuba diving the Great Barrier Reef book up well in advance and rescheduling a tour won’t be easy. We visited the Great Barrier Reef through Seastar Cruises. 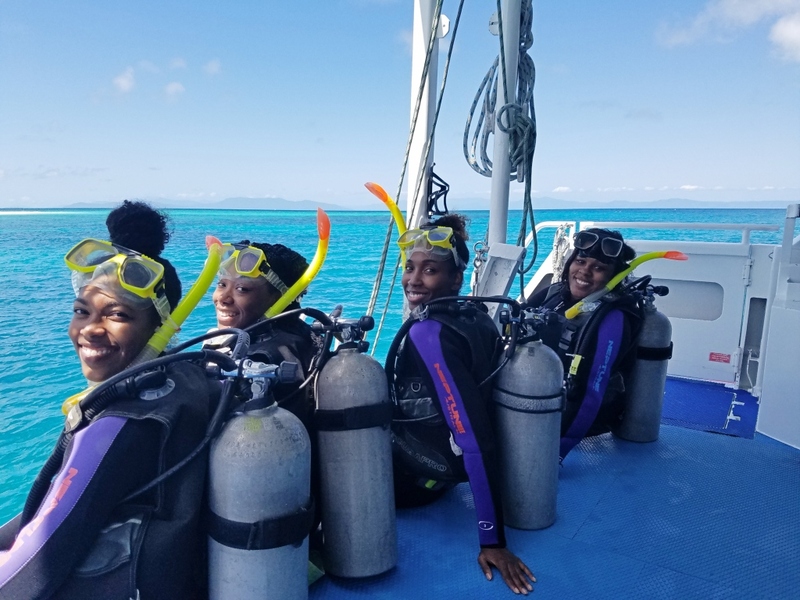 We did their full day tour which included snorkeling at two stops to the outer Great Barrier Reef at Michaelmas Cay and Hastings Reef. The cost was $185 AUD for adults and children under 4 are free so I didn’t have to pay for Kennedy. If you want to do an introduction dive, which I did, it is an additional $75 AUD for the 1st one. The tour includes a Glass Bottom Bout Tour if you can’t swim or don’t want to get wet. If you plan to snorkel or scuba dive the Great Barrier Reef and wear prescription glasses but don’t wear contacts or forget them they have masks with prescription lenses so you can see the reef clearly. I wore my contacts but a friend in my group didn’t and she said she could see great with their optical masks. The guides work with the introductory divers are very patient. Scuba diving the Great Barrier Reef was my first experience with diving. I was having a hard time getting adjusted to breathing from the tank and was ready to give up. They were not having it! My guide walked me through what I needed to do several times and gave me pointers to get comfortable. I was so happy I stuck through it and got the experience! Now I’ve continued to dive with my favorite dive being in Tulum. Lunch is provided but contrary to the website stating buffet, it is far from that. We were asked if we wanted 1 or 2 chicken wings, like only the drumstick part, not even the whole wing. That is not a buffet!! In their defense they did have deli meat for sandwiches but I don’t eat beef or pork so it was no use to me. They also had quite a few vegetarian options including pasta salad and potato salad but I don’t eat those either. Ok, maybe I am just a picky eater but some of my non picky eater friends were also not satisfied with the amount or taste of the food. Wear water shoes! They make you take your shoes off while on the boat for safety reasons as they say your shoes have no grip and you can slip. However, part of the floor on the boat is carpet and people walk on it with their wet feet and clothing. To me wet carpet is disgusting and unsanitary so wear your water shoes as they do allow you to wear those on board. 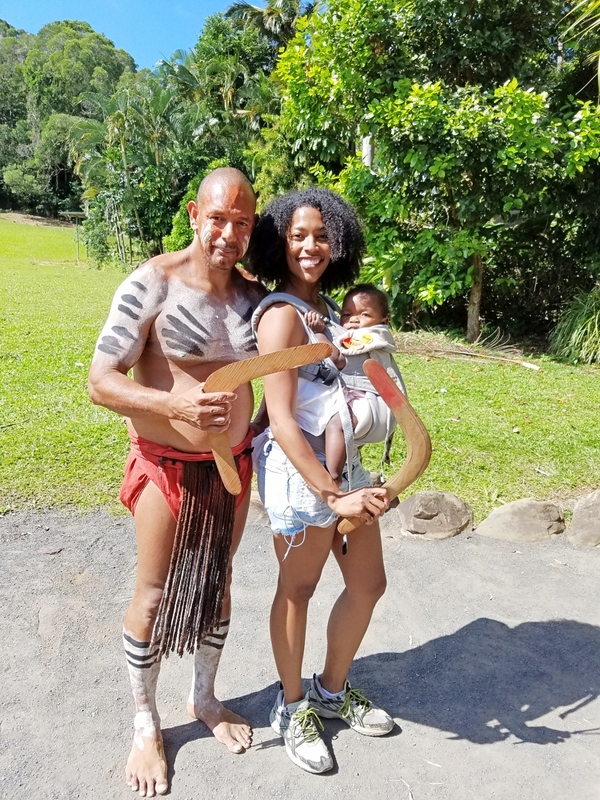 On our second day in Cairns we wanted to take in the Aboriginal culture. We did the Rainforestation Tour of Kuranda through Skyrail Rainforest. We took the Railway up and the Skyrail down. Once you get up to Kuranda you have about an hour of free time until you start the Rainforestation tour. The first stop is at the Wildlife park where you can learn about Australian wildlife. There are also free roaming Kangaroos that you are allowed to take photos with. Afterwards in the Army Duck Tour where you learn about the trees and plants in the rain forest, surprisingly more interesting than I would have expected. ​Next is the performance of the traditional dances by Pamagirri Indigenous people and the chance to learn about some of their traditions. We were able to learn that the “Aboriginal” people prefer the term Indigenous People which I did not know. We also learned that it wasn’t until the early 2000s that the Indigenous people of Australia received an apology from the Australian government from the poor treatment they have been subjected to. I was very glad we were able to learn these things. ​After the show they have a few they have various stations where they will teach you how to throw a boomerang. ​You take the Skyrail down, the longest cableway in the world. If your terrified of heights like myself good luck! I was shooting myself in the foot the whole way as my friends laughed at me. I will admit the views were spectacular and they have 2 stops if you want to get off an explore the rain forest a bit. 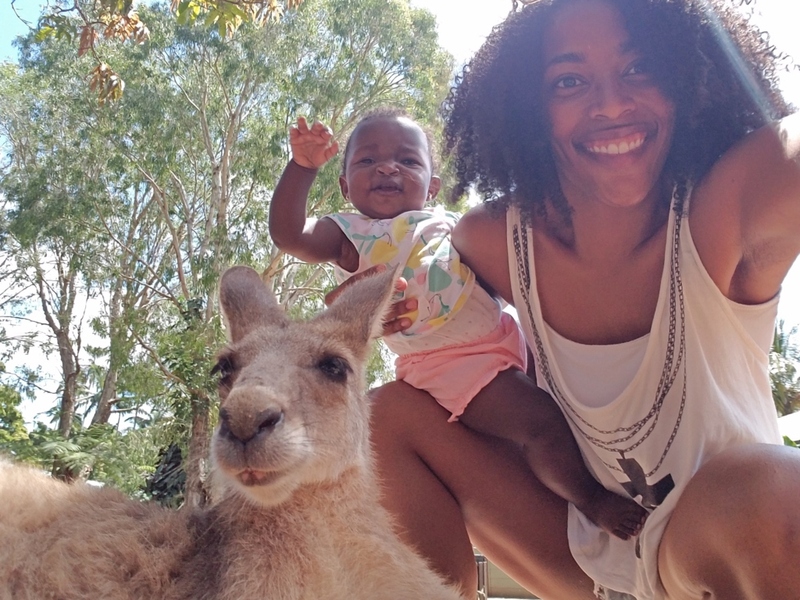 Free roaming Wallaby’s and Kangaroos that you can feed, pet, and take photos with. The chance to learn how to and try to throw a boomerang.Every aspect of the tour was on-time including the pick up and drop off. The railway up in underwhelming and for a 1.5hr ride had I known what I know now I would have skipped it. Not enough time in between the railway up and the start of the tour to really enjoy a meal without scarfing down your food. Strollers are allowed on the train, cable car, and on the Rainsforestation tour and they have elevators throughout so it seemed convenient to use one. ​​For younger kids who can still be carried I would however recommend using a carrier as it’s just easier than folding and unfolding a stroller. Unfortunately our trip from Sydney to Cairns wasn’t exactly what we anticipated due to flight cancellations. However, we still had a great time scuba diving the Great Barrier Reef and learning about the aboriginal culture. Did you find this post helpful? Please share it! Hello Monet ! I love following you and your family. I am a new mom and my little dumpling if 6 months. I have a fear of traveling with her as she is so young. I want to travel to Vietnam and Camobodia however I think about the food, the germs, what will she eat and anything and everything else that can happen. I admire your bravery and willingness to share the world with your little girls and I want to do the same. But this anxiety and fear will hold me back. Thank you for your time and sharing your knowledge with the mommy community. Hi Hang! Congrats on your new bundle of joy. I definitely understand the anxiety but you will be fine, you just have to make the first step and go. There are germs everywhere so you can’t avoid that even at home. In regards to food Vietnam and Cambodia have rice dishes which I’m sure at the least your daughter will eat. My girls are the least picky eaters ever, I’m the one in the family who has to look at every menu in detail before to choose to eat at a restaurant. Exposing her to different foods at such a young age will only develop her into not being a picky eater. Book something closer to home at first to see how you guys manage and if all goes well book that flight to SE Asia. Wow! I need that glass bottom boat tour in my life! Glad I read this, as I’ve wanted to travel to Australia but have always been nervous about it! Thanks for always sharing such inspiring travel photos and information!! !